The museum, exhibitions, café, gardens and chapel are fully accessible for all our visitors. Our discovery tablet includes both audio description and subtitles, and large print and Braille guides are available for the chapel and museum. Audio described tours and handling sessions are available to book on certain days. 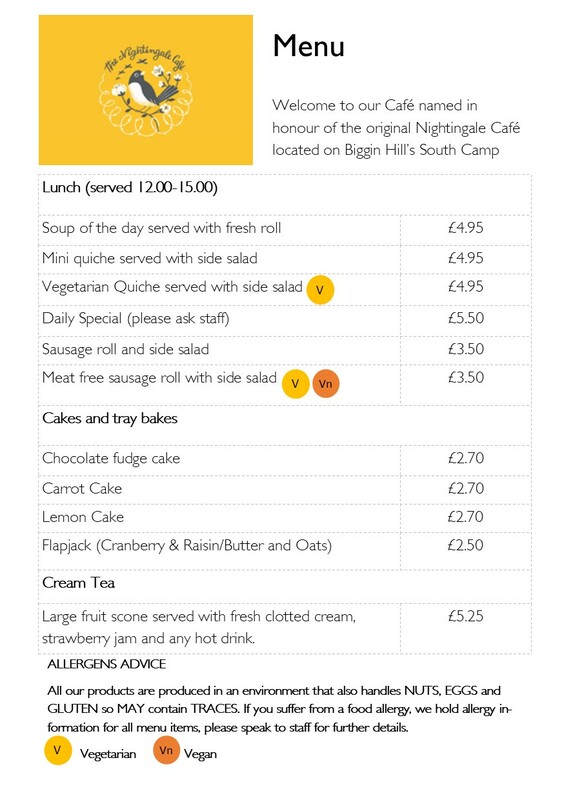 Café and outdoor terrace – The Nightingale Café is named in honour of the original Nightingale Café located on Biggin Hill’s South Camp. For a copy of our current menu please click here. Allergen information is available for all our dishes please ask a member of staff for further details.